Huge thanks to Clements Gate for helping put together this very short notice storytelling workshop over Easter weekend! 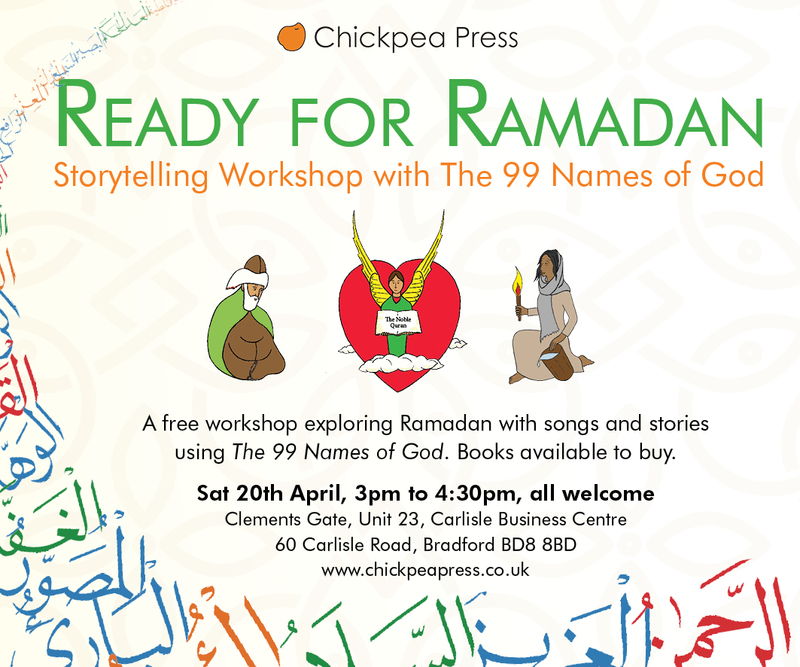 Join us for this free workshop exploring Ramadan with songs and stories using The 99 Names of God. Books will be available to buy. Let us know if you are coming on Facebook!